The missing paperwork for the pre-1980 excavations of the prehistoric, ancient, and medieval settlement and fortress on the historic hill of Nebet Tepe in the Southern Bulgarian city of Plovdiv will likely result in the site being excavated anew, says archaeologist Elena Bozhinova.Bozhinova, who is part of the team from the Plovdiv Museum of Archaeology that will explore Nebet Tepe again, has commented on the recent controversy about a project for the restoration of the ancient and prehistoric fortress. It caused a scandal during a public hearing last week after the local community overwhelmingly opposed the project of architect Yuliy Farkov, and booed the Director of Bulgaria’s National Museum of History Bozhidar Dimitrov who supported it publicly. The excavations of Nebet Tepe, one of the seven historic hills of the southern Bulgarian city of Plovdiv, whose oldest settlement dates back to the 6th millennium BC, allegedly making Plovdiv the oldest city in Europe, were terminated in 1980. “The first residents of Nebet Tepe are people from the Chalcolithic (Aeneolithic of Stone – Copper Age) in the 5th millennium BC. Nebet Tepe had the function of a regional center. 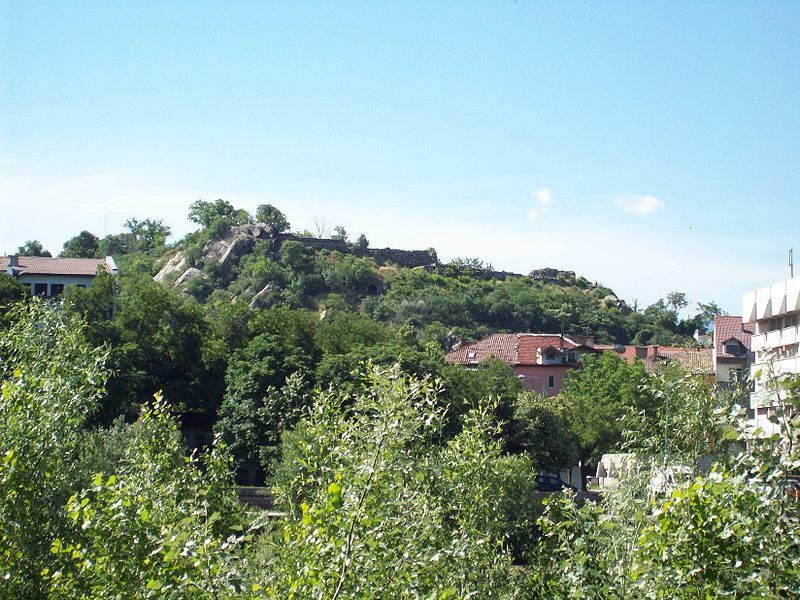 The hill was something like a citadel, a place fortified from all sides where important gatherings were held," archaeologist Elena Bozhinova has told Radio Focus Plovdiv. She has reiterated an earlier explanation by Kostadin Kisyov, Director of the Plovdiv Museum of Archaeology, that the archaeologist who excavated Nebet Tepe before 1980 is to blame for the lack of respective documentation; Bozhinova, however, has now provided details about the case with the missing records. “The archaeologist who conducted large-scale excavations of Nebet Tepe without keeping records was Atanas Peykov. In addition to having been ambitious, his excavations were unprofessional. The entire archaeological community in Bulgaria knows that these were the most large-scale excavations on Nebet Tepe. They covered the entire central part of the hill," Bozhinova says. She emphasizes that archaeologists are obliged to document their work in detail because that way they provide the archaeologist digging after them with the opportunity to correct any mistakes they might have made, and to complement the records for the respective archaeological monument. “This is the case with Nebet Tepe and the archaeologist who ambitiously studied the entire monument but did not keep records. Before Peykov, the site was excavated by archaeologist Liliya Borusharova and others. They did thorough digs that were completely documented but were too limited in scale for them to be able to specify the time periods and the specific conditions for this hill," Bozhinova elaborates. In her words, the partial exploration of archaeological sites is a global trend because it leaves some parts of the respective monument to be researched by the future generations who will have better work methods and more research to build on. “This [rule] was not observed by Plovdiv archaeologist Atanas Peykov. He explored the entire Nebet Tepe and left no records. The things he published in scientific journals are unprofessional and incorrect," she adds. Bozhinova points out that the archaeologists from the Plovdiv Museum of Archaeology are prepared to start new excavations as soon as Plovdiv Municipality provides funding. Earlier, museum Director Kostadin Kisyov said that before going for new digs the local archaeologists were going to use a ground penetrating radar first to localize structures that lie underground. What a sham this report is! The archive from the excavations in the 1980s is missing…!? How come this be the case – where the Director of the Archaeological museum has been all this time!!! Let me remind you that Mr Kostadin Kisyov has been Director for around 20 years now and missing to spot that the archive of one of the biggest excavations in Plovdiv is missing, is gross negligence and total failure in his duty as a Director. What a comic tale you are reporting here people … ?? Just think- what a Director one must be to let unnoticed and unannounced that the documentation of the exploration is missing. But let me tell you what a Director that is – one that has purposely destroyed the archive, and not only the archive but also valuable excavations, and that only to serve personal ambition and vendetta against Atanas Peykov. The good news are – while the archive in the museum may be missing, the personal archive of Mr. Peykov is still existent. And contrary what the report is saying here – Atanas Peykov was rather pedantic in recording everything, thus a very detailed record exist. Watch this space…..
P.S If was in the place of the local authorities I would start first questioning Mr. Kostadin Kisyov. Try to explain and justify how he managed to loose a very important archive in the last 30 years!!!??? Thank you for your comment. This report itself is not a sham because we are only reporting who said what on public media. You are probably referring to the allegations made by the cited persons – well, those are their allegations, not ours. If you have evidence to back up your claims and/or are confident about them, we recommend that you alert all media and respective Bulgarian (and possibly EU) institutions in the proper form.